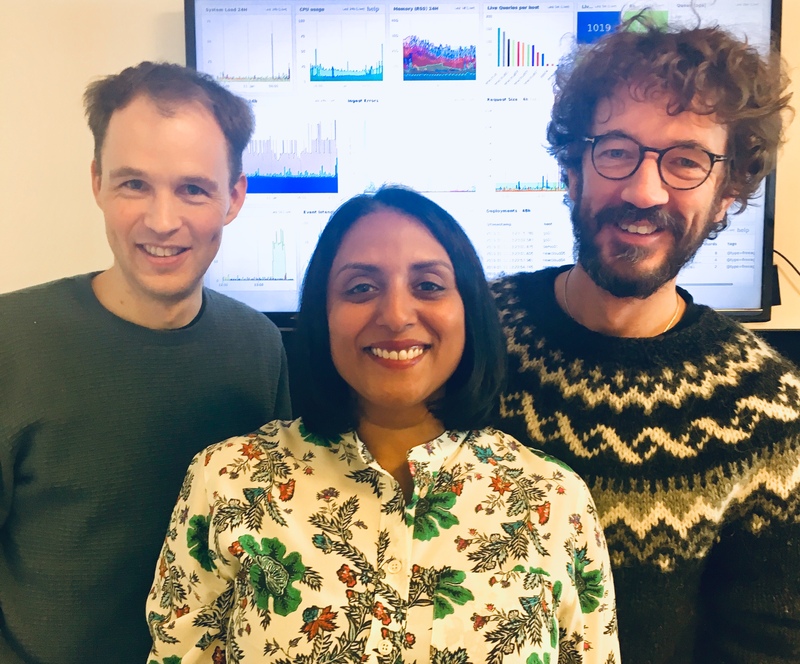 Humio, a startup that provides a real-time log analysis platform for on-premises and cloud infrastructures, today announced that it has raised a $9 million Series A round led by Accel. It previously raised its seed round from WestHill and Trifork. The company, which has offices in San Francisco, the U.K. and Denmark, tells me that it saw a 13x increase in its annual revenue in 2018. Current customers include Bloomberg, Microsoft and Netlify . To offer them this solution, Humio raised this round with an eye toward fulfilling the demand for its service, expanding its research and development teams and moving into more markets across the globe. To build this next-generation analysis tool, Humio built its own time series database engine to ingest the data, with open-source tools like Scala, Elm and Kafka in the backend. As data enters the pipeline, it’s pushed through live searches and then stored for later queries. 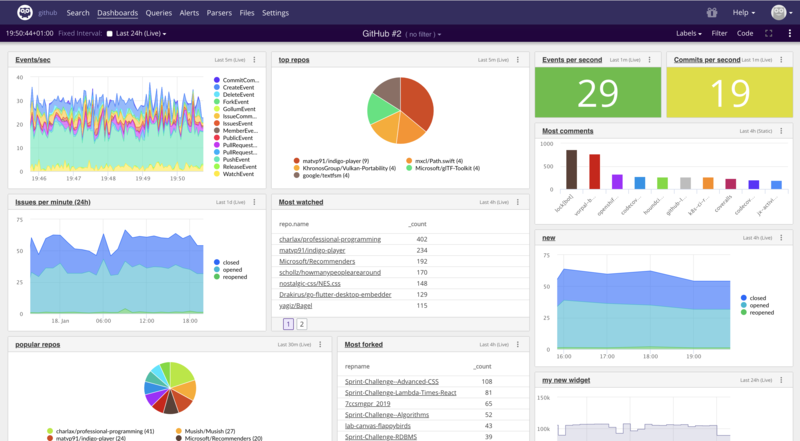 As Humio VP of Engineering Christian Hvitved tells me, though, running ad-hoc queries is the exception, and most users only do so when they encounter bugs or a DDoS attack. Humio charges its customers based on how much data they want to ingest and for how long they want to store it. Pricing starts at $200 per month for 30 days of data retention and 2 GB of ingested data. Contentful, a Berlin- and San Francisco-based startup that provides content management infrastructure for companies like Spotify, Nike, Lyft and others, today announced that it has raised a $33.5 million Series D funding round led by Sapphire Ventures, with participation from OMERS Ventures and Salesforce Ventures, as well as existing investors General Catalyst, Benchmark, Balderton Capital and Hercules. In total, the company has now raised $78.3 million. In its early days, Contentful focused only on developers. Now, however, that’s changing, and having these connections to large enterprise players like SAP and Salesforce surely isn’t going to hurt the company as it looks to bring on larger enterprise accounts. Currently, the company’s focus is very much on Europe and North America, which account for about 80 percent of its customers. For now, Contentful plans to continue to focus on these regions, though it obviously supports customers anywhere in the world. Contentful only exists as a hosted platform. As of now, the company doesn’t have any plans for offering a self-hosted version, though Konietzke noted that he does occasionally get requests for this. What the company is planning to do in the near future, though, is to enable more integrations with existing enterprise tools. “Customers are asking for deeper integrations into their enterprise stack,” Konietzke said. “And that’s what we’re beginning to focus on and where we’re building a lot of capabilities around that.” In addition, support for GraphQL and an expanded rich text editing experience is coming up. The company also recently launched a new editing experience. Twilio is hosting its Signal developer conference in San Francisco this week. Yesterday was all about bots and taking payments over the phone; today is all about IoT. The company is launching two new (but related) products today that will make it easier for IoT developers to connect their devices. The first is the Global Super SIM that offers global connectivity management through the networks of Twilio’s partners. The second is Twilio Narrowband, which, in cooperation with T-Mobile, offers a full software and hardware kit for building low-bandwidth IoT solutions and the narrowband network to connect them. Twilio also announced that it is expanding its wireless network partnerships with the addition of Singtel, Telefonica and Three Group. Unsurprisingly, those are also the partners that make the company’s Super SIM project possible. The Super SIM, which is currently in private preview and will launch in public beta in the spring of 2019, provides developers with a global network that lets them deploy and manage their IoT devices anywhere (assuming there is a cell connection or other internet connectivity, of course). The Super SIM gives developers the ability to choose the network they want to use or to let Twilio pick the defaults based on the local networks. Twilio Narrowband is a slightly different solution. Its focus right now is on the U.S., where T-Mobile rolled out its Narrowband IoT network earlier this year. As the name implies, this is about connecting low-bandwidth devices that only need to send out small data packets like timestamps, GPS coordinates or status updates. Twilio Narrowband sits on top of this, using Twilio’s Programmable Wireless and SIM card. It then adds an IoT developer kit with an Arduino-based development board and the standard Grove sensors on top of that, as well as a T-Mobile-certified hardware module for connecting to the narrowband network. To program that all, Twilio is launching an SDK for handling network registrations and optimizing the communication between the devices and the cloud. The narrowband service will launch as a beta in early 2019 and offer three pricing plans: a developer plan for $2/month, an annual production plan for $10/year or $5/year at scale, and a five-year plan for $8/year or $4/year at scale. Acceleprise Ventures, a San Francisco-based incubator anchored by investor Sean Glass, announced a new $3.5 million fund with a pronounced enterprise app bent. It also announced 10 newly funded companies. Hello. Hey, it’s me, in case you’re wondering who this stranger is. I haven’t posted for a whole month because May has been an insanely busy month. My mother came over from England for 3 weeks and we had a great time. Even though I had to work, we still found time to take her to Palm Springs and up to San Francisco. We had tremendous fun up there touring the city, going out into the harbor and driving up to Napa to sample some wines. This photo is me grinning ear to ear because the Golden Gate finally came into view, but not until we sailed through the famous fog almost underneath it. During May we are also re-financing our house, installing solar panels (the latest in our continuing efforts to become greener), and a bunch of other life changes. And all of this on top of work. I’ll be glad to get into June! Alas, I haven’t written for 3 weeks and will be back at the keyboard tonight and all through the Memorial Day weekend. Yay! I have about 15,000 words to go to complete the first draft of my 2nd book, which is provisionally entitled Necro. It’s dark fantasy, first person in the head of a Necromancer, but I think it’s quite different to other books you might have read about Necromancers. Once the first draft is done, I intend to make 2 further drafts between now and August after which I’ll be ready for beta readers. If you’d like to be a beta reader, please contact me! I don’t expect line edits, just an honest read in 4-6 weeks and a response with your thoughts on what worked and what didn’t, what you liked or hated. In return you’ll get a mention in the book and a free ebook copy. I’m also furiously scribbling background and plot notes for the first in a series of futuristic paranormal novellas that I’ll start this summer. Finally, a plea to anyone who has read Ocean of Dust, enjoyed it but is nervous of writing a review on Amazon, B&N, Kobo, or even Goodreads. Please do – you only have to write a few sentences, and every review helps a budding new author like me. I appreciate it.